SATE SCHOTEL speciaal - 4 st. sate ajam, babi of vegetarisch met bami- of nasigoreng en met groente naar keuze. 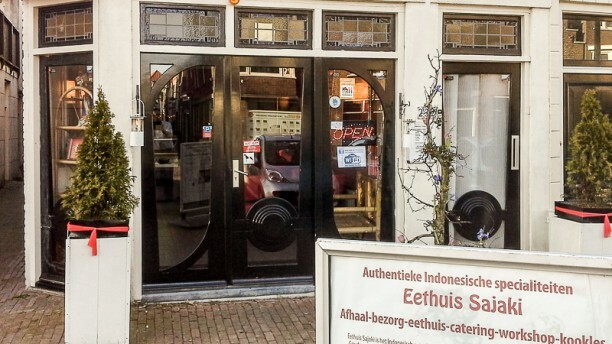 Restaurant Sajaki is the perfect place in Gouda for an authentic Indonesian meal. The base of an Indonesian meal is always white rice. This is not only nutritious, but also calming when eating spicy dishes. From mild to spicy dishes, they all have at least one thing in common at Sajaki and that is that they are all full of exotic, tastefull flavors.